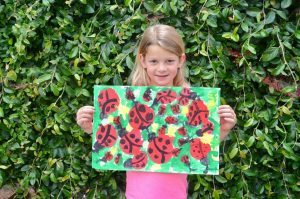 Ace Calendar Art Contest – Ace Hardware Corp.
Each year, Ace Hardware stores across the country hand out hundreds of thousands of calendars to customers to say thank you. 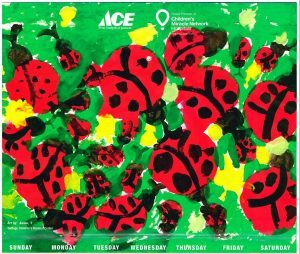 Ace’s 2019 calendar will feature patient artwork again this year and 10 cents from every calendar that a retailer purchases will benefit their local Children’s Miracle Network (CMN) Hospital! We need YOUR help creating artwork for the months of January, July, and October. Ace Hardware will make a $500 donation in the winning patient’s name to their CMN Hospital and their artwork will be published in the national calendar along with their name, age and CMN Hospital. To be eligible, one must be between ages 0 and 18 and be a current or previous patient of CHRISTUS Southeast Texas St. Elizabeth or CHRISTUS Southeast Texas Jasper Memorial. – Artwork should be 8.5 inches by 11 inches and horizontal. – Scan artwork (in color) and submit online at ChristusSoutheastTexasFoundation.org by April 26. – Keep original artwork. We will need the original if it is selected for inclusion. – Submit a signed release form with artwork. – Upload any additional photos (optional) such as a photo of the artist with his or her masterpiece.